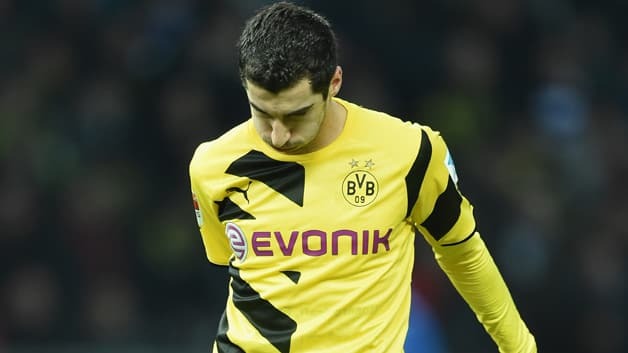 Mkhitaryan was replaced by Jakub Blaszczykowski ten minutes before half-time in BerlinBerlin – Borussia Dortmund midfielder Henrikh Mkhitaryan could miss the rest of the calendar year with a thigh injury, according to BVB head coach Jürgen Klopp.The Armenian international pulled up after 35 minutes of Dortmund’s 1-0 defeat to Hertha Berlin at the Olympiastadion on Saturday, clutching the back of his leg and signalling to the away bench that he was unable to continue. Former BVB striker Julian Schieber scored the only goal of the game in the capital to lift Hertha above die Schwarz-Gelben in the Bundesliga table. Dortmund face second-placed VfL Wolfsburg at home this coming Wednesday, before travelling to struggling SV Werder Bremen on Matchday 17.